I knew from a very young age that I loved the water. It didn’t matter whether it was pottering about in a small rowing dinghy on the Thames at Twickenham where I was born or flinging myself through breaking waves on the beach at Holland on Sea in Essex where we used to stay with my uncle and aunt most summers – I just loved the water. That love affair strengthened and grew over the years but the first time I really understood that the water could take me to another level of enjoyment was when I joined the boat club at Hampton Grammar School (as it was still known in the 1960s). History master Richard Gabriel (‘Gabby’ to his students) was a former GB Olympic rowing cox and he was absolutely fanatical about the sport. He spent hours training his crews and probably for that reason Hampton’s first eight were an incredibly successful unit during the last 60s and early 70s. The HGS boat club used to share the facilities at Molesey Boat Club down by Molesey Lock and at Twickenham Rowing Club on Eel Pie Island. Before would-be oarsmen were let anywhere near one of the sleek racing eights, we had to put in hours of practice in a static tank at Twickenham or a tethered rowing stage at Molesey. That taught you coordination, the most effective way to transfer power from your legs into the oar and the importance of adopting a steady rhythm that could be sustained over a long race. Eventually, when ‘Gabby’ thought you’d honed your skills to the point where you could be trusted in a boat, you were put into a scratch eight and allowed out on the river for the first time – and I will never, ever forget that feeling. Eight individual oarsmen slowly becoming a single working unit with the boat slicing smoothly through the water and the coach having to pedal his bike like mad to keep up with us. And, oh my, the amazing feeling when he yelled at us through the megaphone to up the striking rate and put out backs into it. I swear it felt as though we were flying – the speed was incredible. I’ve heard lots of interviews with great rowers like Steve Redgrave and Matt Pinsent who talk about the wall you have to go through in top class competitive rowing and I can fully understand what they mean. I never got anywhere near that standard but at the end of a really tough race with your heart pumping like crazy, your lungs struggling for air and every muscle screaming for relief, I think running through a brick wall might have been preferable! With the university boat race coming up at the end of this month (Sunday, March 31), rowing will again be under the spotlight and it might prompt one of two of you out their to consider giving it a go – a course of action I can heartily recommend. 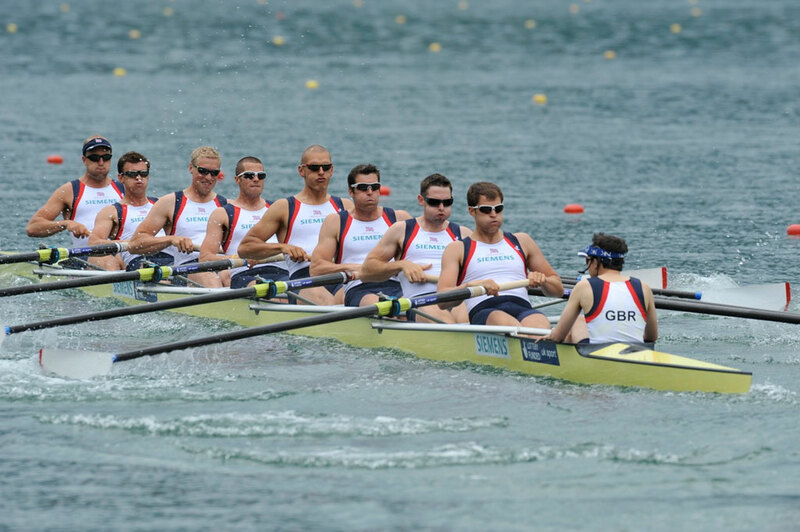 There are several excellent rowing clubs in our area – Staines BC, Burway RC, Molesey BC, Thames Ditton RC, Walton RC, Weybridge RC – and all of them welcome new members. If you do decide to give it a try, drop me a line to let me know how you get on. THANKS to Diana Gosnell who called me from Hereford having been sent a copy of my article about the frozen Thames and the photos that were purportedly hung in the Thames Court Hotel before being donated to the Sunbury and Shepperton Local History Society. Diana and her husband, Hylton, owned the Thames Court from 1948 to 1954 and she assures me that she has no recollection of these photos at all – which simply deepens the mystery of who took them. Can anyone else shed any light on this?